Buying a home can be an emotionally draining process, and once you've found the one you love, it's natural to stress over your offer getting turned down. Because of that, many homebuyers get caught up in bidding wars and end up overpaying. But it's worth it for the house you want, right? Typically, no. According to Scott McGillivray, the host of HGTV's "Income Property" and a real estate expert who's invested in over 100 properties, homebuyers should never go beyond market value when purchasing a house. To avoid getting caught up in the drama of a bidding war — and potentially overpaying — McGillivray recommends deciding the maximum amount you're willing to spend before putting an offer on the table. "I will pick my threshold, saying, 'The most I'm willing to pay is $450,000, no matter what anyone else is putting in,'" he told Business Insider. "I'll put in my price, and what I'll do is I'll negotiate by condition." 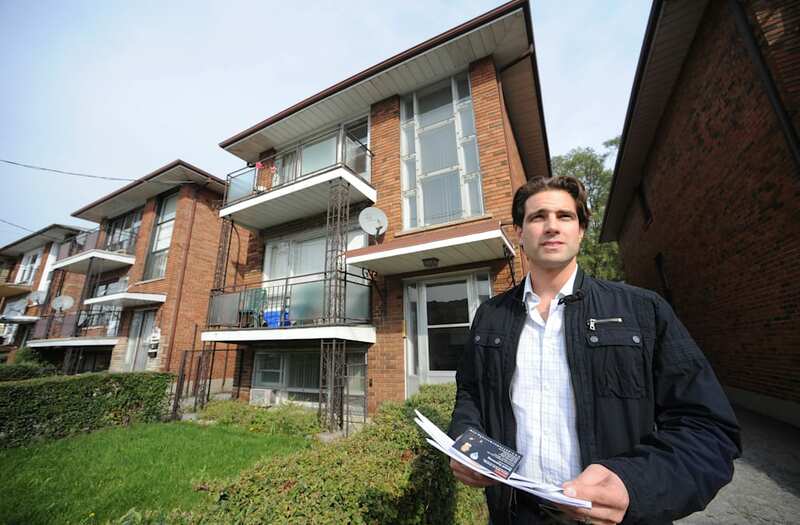 If things escalate above his predetermined price threshold and he doesn't want to lose the property, McGillivray employs a simple tactic to make his bid more appealing, even if it's it not the highest one: He loses his conditions and creates a clean offer. "So believe it or not, I have won properties in a bidding war without putting in the highest offer, and the way to do that is to have clean offers," he explained. "So if somebody is offering $500,000 and I'm offering $450,000, but they've got all these conditions and mine's clean, sometimes they'll be willing to take mine over someone else's." It's not a guaranteed strategy going into the negotiation, but it could help you win the house as a last-ditch effort. If it doesn't work and you're still tempted to increase your offer, reevaluate how much you can afford, and stick within those limits. Buying a home shouldn't come at the expense of your other important savings goals. "A lot of times what I see is people will have money saved for a down payment and they end up putting the entire amount toward the down payment to afford the home, and have no money leftover," said Eric Roberge, CFP and founder of Beyond Your Hammock. At the end of the day, it's better to be safe than sorry. If your plan to afford a down payment involves purging your entire savings account, you might want to think twice before going through with the offer. "Typically in a bidding war, properties will sell beyond list price, and it's not worth paying more just to get a property because then you're in a situation where you've actually paid more than market price for the home," McGillivray said. If you recently became a homeowner in the Mile High City, you can pat yourself on the back. Our data shows that Denver is the best city for homeowners. Home values have been consistently growing. From 2010 to 2015, Denver home values grew 12.6%, with a 5.3% increase between 2014 and 2015. Denver also has the second-lowest average effective property tax rate in our top 10 at 0.54%. Compare mortgage rates with our free mortgage rates comparison tool. Demand for housing in Fremont has risen recently, perhaps due to the city’s proximity to San Diego. Fremont residents saw the largest rise in median home values in our top 10 from 2014 to 2015. Values rose 5.58% over that time period. But the short-term growth is not the only reason Fremont is a great place for homeowners. Fremont also has one of the lowest property crime rates in the country. There are 1,880 property crimes per 100,000 residents in Fremont. Aurora saw median home values jump more than 5% from 2014 to 2015. To put that 5% in context, the median home value in Aurora in 2014 was $179,300 and grew to $189,100 in 2015. However the longer-term trends are not as favorable for Aurora homeowners as they are for some other cities. Growth over the six-year period from 2010 to 2015 shows that home values only rose about 0.7%. Homeowners in Hawaii have seen some impressive growth in home values over the past few years. Over the 2010 to 2015 time period, median home values in Honolulu grew 8% and from 2014 to 2015, they grew 3.4%. Homeowners in Honolulu also have the benefit of paying very low property taxes – only 0.29%, according to U.S. Census Bureau data. From 2014 to 2015, median home values in Irvine grew from $662,200 to $688,200. That’s an increase of almost 4%. Over the period of 2010 to 2015, home values grew 1.64%. However, homeowners in Irvine can expect to pay a quite a bit in property taxes. Data from the Census Bureau shows that the average effective property tax rate in Irvine is 0.81%. That’s the second-highest in the top 10. Buying in the Golden State? Check out California mortgage rates. There is plenty of demand for housing in Arlington, possibly related to how close the city is to the nation’s capital. Home values grew 6.3% in Arlington from 2010 to 2015. That growth looks set to continue, as median home values rose 2.17% from 2014 to 2015, as well. Prospective Arlington buyers will want to be aware that the property tax rate here is on the high side. The 0.87% average effective property tax rate is the highest in the top 10. Gilbert is the first of two Arizona cities to crack our top 10. Home values in Gilbert rose by almost 5.4% between 2014 to 2015. Gilbert also has the lowest property crime rate in the top 10. There are about 1,321 property crimes per 100,000 residents in Gilbert. A fact that homeowners in Gilbert are probably well aware of. Hopefully if you bought your home in Santa Ana sometime around 2010, you have not sold it yet. The median home value in Santa Ana was down 13% over the period from 2010 to 2015. However, home values now look to be trending up. They rose 5.19% between 2014 and 2015. Santa Ana also offers homeowners an effective property tax rate around 0.7% and a low property crime rate of only 2,155 per 100,000 residents. With a population of 650,000, Boston is the second-largest city to crack out top 10. Homeowners here will appreciate the increasing home values and low property taxes, especially considering how expensive buying a home can be. The median home in 2015, for example, cost almost $400,000. For the Bostonians who managed to buy a home, they saw median values rise 3.72% from 2014 to 2015. That’s the 30th-fastest rate in our study. Plus, if you own a home in Boston, you can expect to only have to pay an average effective property tax of 0.77% – a top 20 rate in our study. Another suburb of Phoenix, Chandler is great for homeowners for many of the same reasons as Gilbert. Home values in Chandler rose 5.17% from 2014 to 2015. That’s the 14th-largest increase in our study. Property taxes are also very affordable. Homeowners in Chandler pay an average effective property tax of only 0.67%, one of the lowest in the study.